It’s been a while since the writers checked in on Finn’s budding romance with Flame Princess, and “Burning Low” brings their relationship to the forefront as Finn decides to take it to the next level. 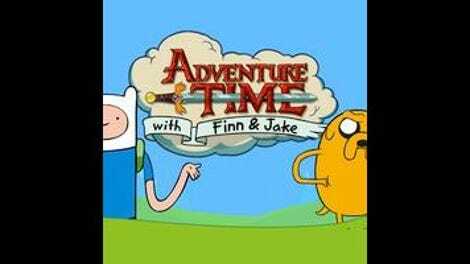 The best episodes of Adventure Time serve as analogies for ordinary problems, and this week’s story is a great example of how this show takes a common issue and puts a fantastic spin on it. When Princess Bubblegum hears about Finn’s new girlfriend, her increased interest in their relationship is viewed as jealousy, but there’s more at stake than PB’s heart in this situation. Tier 5: Feeling all 15 feet of her long, beautiful stomach. Tier 8: Touching her horn for the first time. Tier 15: STAY AWAY FROM TIER 15. While the pair considers how to get Finn to Tier 2, they encounter PB in their house casually collecting taxes from their stores of treasure. She wants to know more about Finn’s new girlfriend, and when Jake catches her up, she runs home to her diary in distress. PB returns to give a lecture on relationships, but Finn sneaks away and Jake falls asleep, missing crucial information during the presentation. When PB tells Jake that Finn and Flame Prince can’t be together, Jake assumes it’s because she’s jealous, but that’s because he fell asleep during all the science. Flame Princess is physically unstable and her elemental matrix can’t handle extreme romance. If Finn tries to kiss her, she’ll burn so hot that she’ll melt the world. Of course, everyone is so convinced that PB is jealous that they refuse to listen to her findings. When PB tries to tell Finn that he can’t be with Flame Princess, he flies into a rage because PB didn’t reciprocate romantic feelings for him, but now that he’s happy with someone else, she wants to be with him. It’s a common occurrence in young love: playing hard to get until you’re not wanted anymore, then throwing yourself at the original admirer. That’s not PB’s intent, but there is certainly an element of that in her mind, especially once she sees just how devoted Finn and Flame Princess have become to each other. PB is too late to prevent Finn from getting to Tier 2, igniting FP and sending her down a hole to the Earth’s core. Finn jumps in after her, and when Jake plugs up the hole, he cuts off the oxygen and stifles Flame Princess’ heat. Passed out underground, FP is revived by another kiss from Finn, even though each smooch leaves new burns on his face. It turns out that moderation is the key, and that taking things slow is the best way to prevent Flame Princess from igniting the world with her lust. 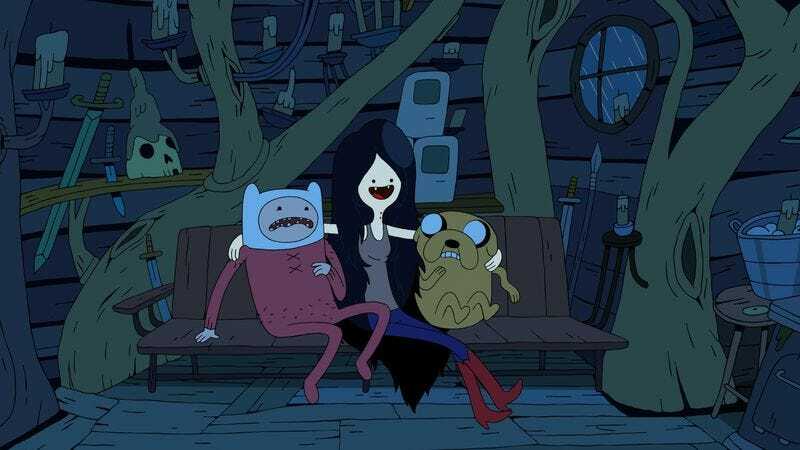 The way Adventure Time manages to fold a moral into its absurd story every week is truly remarkable, and while “Burning Low” is an episode that may not be as insane as this show’s usual fare, it tells a personal, emotional story that will resonate with viewers of any age. The shot of Jake bursting through the side of the treehouse with his head is absolutely hilarious. I rewound it many times. “Bacon Pancake” is perhaps the Adventure Time song that is most in tune with my general lifestyle. Next week’s episode is my most anticipated story of the season, a noir detective story starring BMO! He even punches a mirror in rage!